We neglected to mention in today’s “What’s On Tonight” that the third season of Check It Out! 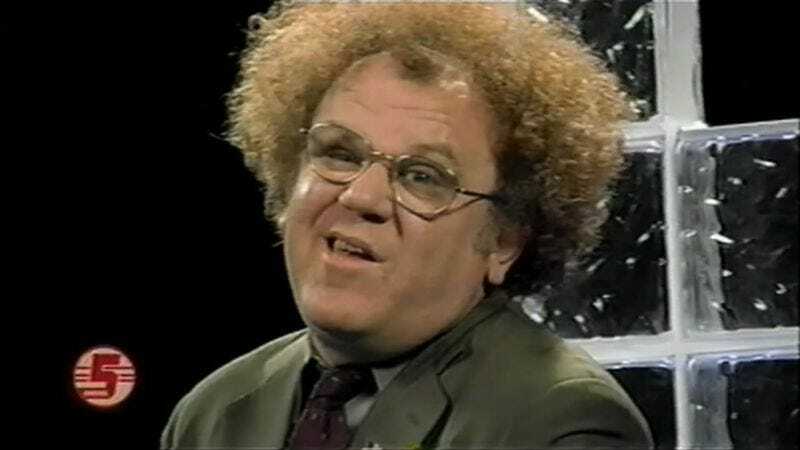 With Dr. Steve Brule starts tonight on Adult Swim. If you’re unfamiliar, it stars John C. Reilly as the good, clueless doctor, in a role he created for Tim & Eric Awesome Show, Great Job! In celebration of this occasion, here’s a video of Reilly/Brule taking his first “jumbro jet” ride and throwing up. Enjoy!